Lovely quiet location, a place to get away. Easy to access everywhere on the island. Good restaurants nearby. The whole experience from Villa, amenities and communication with both owners are over and beyond our expectations! The best experience! Blue sea villa is an absolute gem! would definitely go back! The host was excellent, very helpful and lovely - made us feel like home. Perfect for a family break. Spacious, clean accommodation and pool, easy to get to from the airport, lovely tavernas walking distance from property and best beach on the island only 10 mins away on foot. Highly recommended! il villino è molto bello e accogliente con un giardino e un patio utili e piaciuti soprattutto al cane. La location veramente bella immersa nel verde con una quiete insolita per la Grecia. Ottimo il servizio di lavanderia compreso nel prezzo della struttura. Helena sempre disponibile. Замечетельная вилла! Полностью оборудована. Очень красивая и ухоженная территория, есть большая и зеленая детская площадка с домиками- наши дочки очень полюбили играть там вечерами! В пешей доступности магазины, бары, рестораны. Один из лучших на острове пляжей для детей, правда до него идти с детьми 15 минут и потом 85 ступеней вниз, но мы считали это за спорт:) Очень гостеприимные хозяева! Виллу рекомендуем! С удовольствием приедем еще! Lock in a great price for Monambeles Villas – rated 9.7 by recent guests! One of our best sellers in Svoronata! Just 1,000 feet from Ai Helis Beach and surrounded by greenery, Monambeles Villas features an outdoor pool and free Wi-Fi throughout. 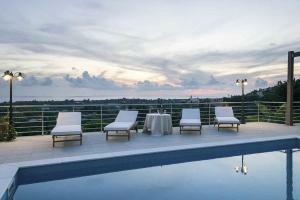 Its spacious accommodations offers unlimited mountain and Ionian Sea views from its balconies. 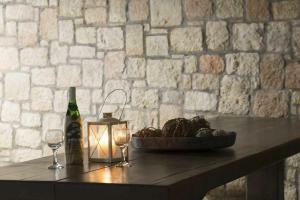 Traditionally decorated, the villa and split-level apartments are air conditioned. Each includes a dining area and fully equipped kitchen with stove and fridge. A CD/DVD player, 2 flat-screen satellite TVs, safe, hairdryer and toiletries can also be found. Some include a spa bath. A continental breakfast is prepared daily. Guests are welcomed to use the BBQ facilities found on site. Various restaurants and bars are 800 feet away, whereas a supermarket is at 1,000 feet. 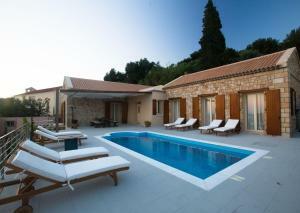 Monambeles Villas is 1.2 mi from Kefalonia Airport. Complimentary transfers from and to the airport can be arranged upon request. It is 5 mi from the lively town of Argostoli. A variety of sandy beaches, such as Avithos, Ammes and Minies, are all less than 0.9 mi away. Free airport transfer is provided to guests staying for 3 nights or more. 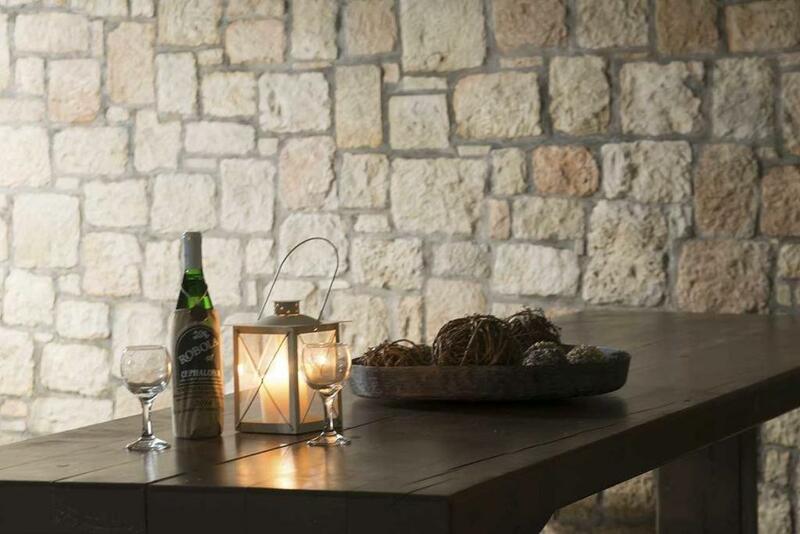 When would you like to stay at Monambeles Villas? Spacious villa offers a balcony with garden, mountain and Ionian Sea views. It includes air conditioning, 2 flat-screen TVs with satellite channels, safe, dining area and fully equipped kitchen with stove and fridge. 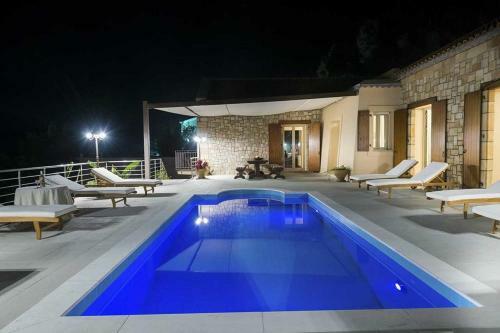 Spacious split-level apartment offers a balcony with garden, pool, mountain and Ionian Sea views. It includes air conditioning, 2 flat-screen TVs, safe, dining area and fully equipped kitchen with stove and fridge. 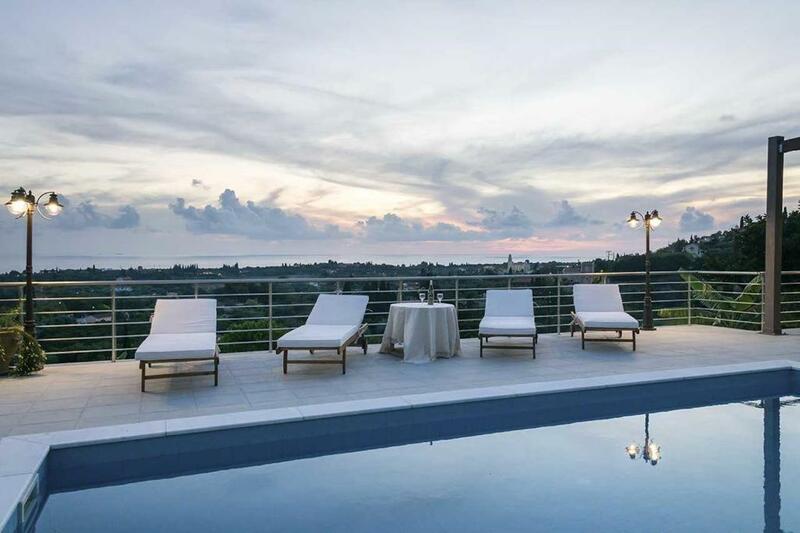 Featuring a spa bath, this spacious split-level apartment offers a balcony with garden, pool, mountain and Ionian Sea views. It includes air conditioning, 2 flat-screen TVs, safe, dining area and fully equipped kitchen with stove and fridge. This villa has a toaster, dining area and electric kettle. Boasting a private pool and offering sea views, this 3-bedroom villa comes with a spacious living room with 2 sofas, a fully equipped kitchen, and 2 bathrooms. BBQ facilities are also available. 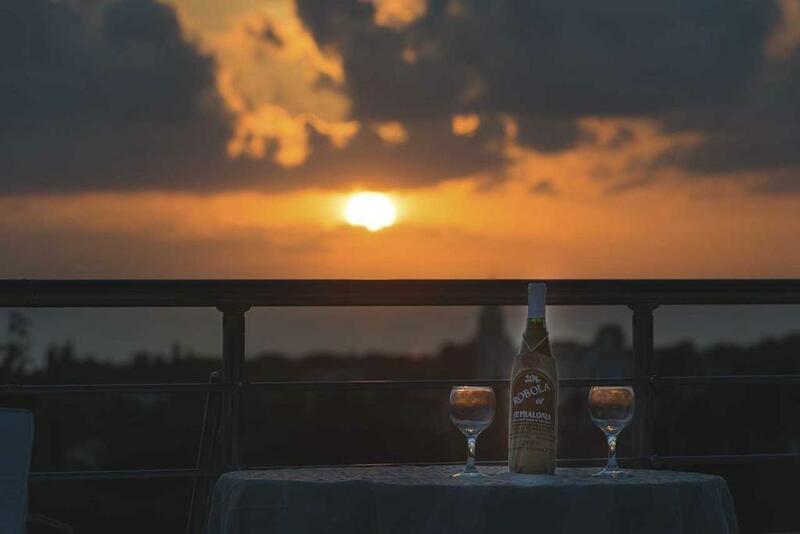 The villas are situated in a place called Monoambeles ( grapevine), village Svoronata, ~ 80m from the sea,7 min walk to Ai Helis sandy beach , surrounded by greenery, fig trees and vineyard, fruits which you can enjoy in July and August. 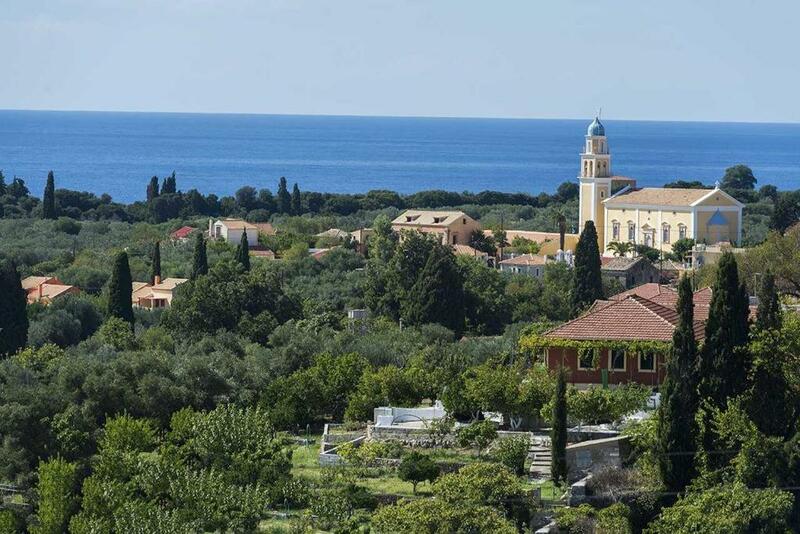 Each villa has a colorful view of the bright Blue Ionian sea, small island Zeus (named after the Greek God) which is occupied by a solitary monastery . and mountains. My name is Elena. I came to Kefalonia16 years ago so in love with this beautiful island, with beautiful nature, ancient history unique natural phenomenon, clean beautiful beaches for all tastes. Now I am living here with my husband Makis and our children and working for our family buisnes. We ( me and my husband) built the villas 2004 and trying to offer to our customers a most comfortable accommodation and unforgettable holiday. House Rules Monambeles Villas takes special requests – add in the next step! Monambeles Villas accepts these cards and reserves the right to temporarily hold an amount prior to arrival. Please inform Monambeles Villas of your expected arrival time in advance. You can use the Special Requests box when booking, or contact the property directly using the contact details in your confirmation. Gas sparkers inside and out not working and no secondary lighter .